Calls for the resignation of Prime Minister Somchai Wongsawat of Thailand escalated to a point that it had crippled a major source of the country’s income: tourism. Protesters converged in the Thai airport and effectively took over despite police resistance. The numbers are too much to handle for the airport security and support from outside military assistance were too late. The protesters were already at the airport and they would never leave unless the Prime Minister resigns. Because of the takeover, different countries worldwide issued a travel warning for Thailand. The international Airport in Thailand is currently unstable as the military and protesters continuously clash. The reason for the airport’s takeover is primarily a way to talk directly to the Prime Minister who they were expecting to arrive from a summit. But it was easily diverted. The current Prime Minister is thought to be an exact replacement of the deposed leader, Thaksin Shinawatra. Mr. Shinawatra was removed from power in 2006 after a coup. Accusation of massive corruption has forced Mr. Shinawatra out of power. However, protesters still think that the former leader still has influence and the current leader might just be a puppet. The impact was immediately felt as hundreds of flights that go to different countries in different continents were stalled. Tourists from different parts of Thailand literally spent nights in the airport. Negotiations between the government and protesters still haven’t commenced as the protesters demand resignation and nothing else. Those who declared themselves as “functionally disabled by obesity” should not fear paying more than what they ought to pay – even if their size would take two seats. Obese people should still be charged as one passenger even though he or she occupies two chairs during the flight. This has been imposed as a right and not just a privilege wherein obese passengers have to pay for two persons if the airline will force them to do so. As a right, obese passengers will just have to pay without any fear of penalty from the airline. The initial decision was imposed by the Canadian Transport Authority. 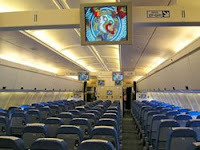 The airlines then opted to go to the higher court for an appeal. But instead of a hearing, the higher court refused to discuss the ruling. By declining the appeal of different Canadian airlines, the rule still holds that every passenger, no matter what their size is, will still have to pay as a single passenger and not based on how many chairs they occupy. The airlines are planning to appeal to the Supreme Court soon regarding the ruling. If the Supreme Court accepts the appeal then a trial will hold but if they will also decline the appeal, then it will place a stop to the dispute forever. WestJet, Air Canada Jazz and Air Canada are the airlines that will lead the appeal in the Supreme Court. No date yet is set for the appeal but the decision is expected to be made by the Supreme Court very soon. In the eastern end of the Island of Cyprus there is a beautiful white sanded beach called Ayia Napa. Absolutely stunning, this fine white sanded beach is one of the most popular beach of the island. Almost any type of accommodation is available near the beach wherein they could easily be fully booked during summer. Aside from the beautiful white sand, the facilities that complement the beach is also at par with the world's best. Water activities are very popular in Ayia Napa as most equipments could be rented at the right price. But what makes Ayia Napa so popular to tourists is the vibrant nightlife. The popularity of the island attracts a good number of visitors every year that entertainment should not be during the day alone. Summertime in Ayia Napa showcases the best nightlife Cyprus could give to its tourists. Aside from the stunning beach and an enjoyable nightlife, Ayia Napa is also a city of culture. There are a number of museums that could be found inland which features the way of life of the people related to the sea. If you happen to be in the city in September don't miss their annual festival which adds colour to the increasingly popular city of Cyprus. If you can hike a little bit, you can visit the Ayia Napa monastery. A highly revered area in Cyprus, it has stood the test of time and witnessed the transformation of a small fishing village to one of the most popular beaches in Europe. 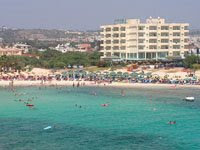 A holiday in Cyprus is £266 per person, including return flight and 7 nights in a hotel. There are many interesting news stories in the travel industries of the world cropping up each day, but few are as devastating as the news story regarding the US travel industry and the Thanksgiving holiday. There has long been an unofficial consensus in the travel industry of the United States that a crisis in the industry is only truly a crisis if it gets to Thanksgiving. The fortress of Thanksgiving has long been a calming influence on a travel industry that has gone up and down with different events over the years and travel industry experts tend to hold off on the panic button until they see its results. Well, Thanksgiving results will not be in for a few days, but what is already known is that the 2008 season is going to bear witness to a decline of some sort. The exact type and numbers of the decline are unknown but at the current moment in time the travel industry is definitely going to lose numbers this Thanksgiving compared to the thanksgiving of last year. The absolute number of passengers going home for Thanksgiving is going to decline and the flights that are available to take them there will decline as well. The last time that particular double whammy happened was in 2001 on the fear of travelling by air that 9/11 brought to the table. What is going to happen between the end of the Thanksgiving weekend and the end of the year is not known, but pessimism appears to be the watchword of the day. There are few in the travel industry today that still hold high hopes for the near future. Barack Obama’s victory on the last presidential election has presented a rare opportunity for his city to become a tourist attraction. 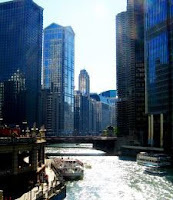 Chicago, Illinois is making some changes on its image as they are now marketing it as the city of the President of the USA. Right now, people come from different parts of the country to have a glimpse of the house in downtown Chicago. Although it’s heavily guarded by Secret Service, it’s still visible from afar. The city offers a wide range of hotel accommodation, the cheapest we have found starts from £34.19 per night but it pays to breathe the same air as the president. The tourism and the historical agency of Chicago are now revamping their guided tours as this will now include the activities and background of Barack Obama before becoming president. Plans are now being carried out to properly mark the special places that are pivotal to Obama's success for his White House bid. The area where he gave the speech that declares his intention to run for the White House and the speech where he introduced Joe Biden will now have a marker. There are now unofficial guided tours around the city wherein you will be taken to different areas in the city related to the president such as the school where he taught law and even the barber shop. The former imperial residence at Hofburg, Vienna is expected to attract more than 20,000 visitors this year during the exhibition called "Luxury, please". For a luxury treat you can choose a luxury hotel with prices over 150 EUR. "Luxury, please" will take place on the 22nd and 23rd November and more than 100 exhibitors from art, jewellery, yachting, aviation, food and automotive industry will do their best to impress their visitors. All major luxury brands from A to V are represented: Aston Martin, Vertu or Versace. The participants must meet the luxury criteria imposed by "Luxury Please", so that only the best brands will be found in Hofburg. For mere mortals Vienna also has something to offer: beautiful Holiday Markets. The Advent Fairytale in Vienna will begin on November 15th and will end on December 24th. This market enchants visitors with events both inside and outside of the City Hall. Visitors of the market will find great decorations, Viennese specialties, and gifts for all ages, along with the Christmas tree. The Christkindls Werkstatt is located at the City Hall as well, and this is a very marvelous place where thousands of kids make handicrafted Christmas presents and cookies. 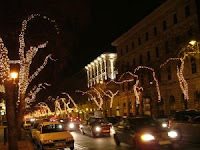 If you want to live the Christmas spirit in Vienna on a budget, hotel prices start from £19.33 including taxes. Canadian geese are not the only animals you'll find in Canada, but they are definitely some of the most recognizable. The fact of the matter is that Canada has a lot of regions that mirror the weather in other parts of the world and for that reason is one of the world's untapped storages of tourism destinations. The Government of Canada has been saying this for years and now that the credit crunch and economic crisis has really hit the entire world, people are starting to take a much closer look at this country in tourism circles. 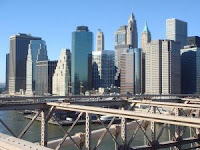 To people in the United States, Canada is an especially good place to go to as a tourism destination. After all, the drive up to the border is short for many people that live in northern states and once you're over you can use American Dollars to buy more in Canada than you could in the United States. Overall, Canada is therefore a great destination for tourists from the US and the Canadian Government has already started to see significant increases in the amount of tourists they get from the United States. People in the US start to go to Canada instead of Europe or other places they might normally take an airplane to in order to enjoy their time off. Canada is home to many excellent tourism destinations. Cities like Toronto, Montreal and Vancouver are great urban areas with lots to offer whereas the prairie provinces of Saskatchewan, Manitoba and Alberta offer some of the most breathtaking natural beauty you are going to see in the world. The Atlantic Provinces are classic ocean-based tourism destinations and the northern area of Canada is great for anyone that wants to rough it.